This story is a sequel to Y Brenin and may read better if you read that one first. "The Stone Garden," by C.A. 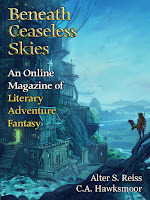 Hawksmoor [bio] (edited by Scott H. Andrews), appeared in Beneath Ceaseless Skies issue 196, published on March 31, 2016. 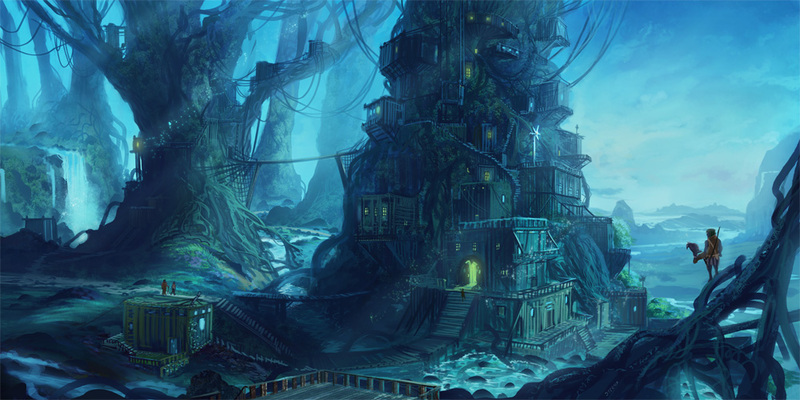 Pro: The cottage does get built, and we do learn much of what happened to Gwyn and Mercher. Con: Building a cottage is an awfully tiny objective for a story. Many aspects of the history of the two remain obscure even at the end of the story. I felt like way too much was missing from this story. I haven't read that one, but imagine it would fill in some of the blanks I had reading this one. I didn't make the connection to Y Brenin while reading. I don't think building the cottage was the point of the story, I think the writer was going for one of those newfangled "metaphor" things. It was all very beautifully told and with intriguing hints of a wider background, but too slow and allusive to grab me. Looks like this post got updated with info from the wrong story.